If you want to be successful growing Hoyas in Vermont, where I live, or any colder area of the country where central heat is a fact of life in the winter, you must have some kind of climate controls set up. Even if that control is as simple as a room humidifier with a built in humidistat. 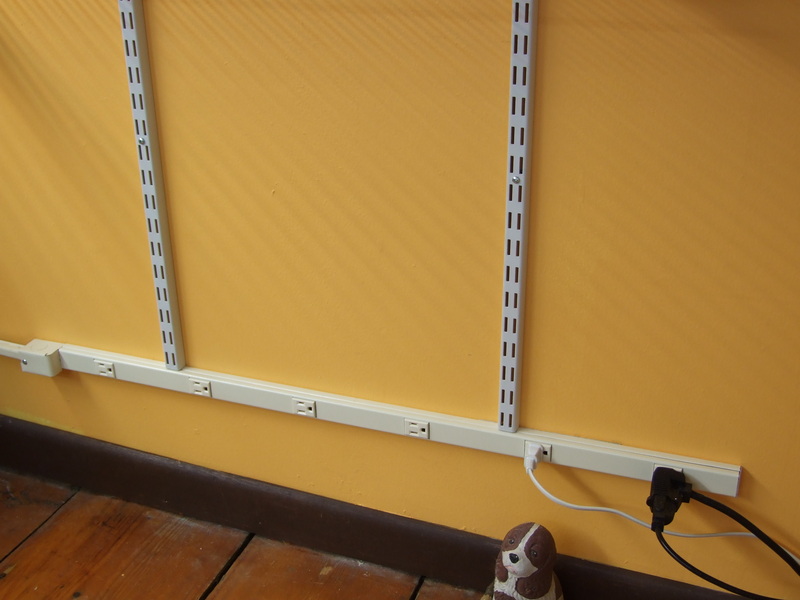 The Sahara like condition of the typical Northern home in the winter is not Hoya friendly. 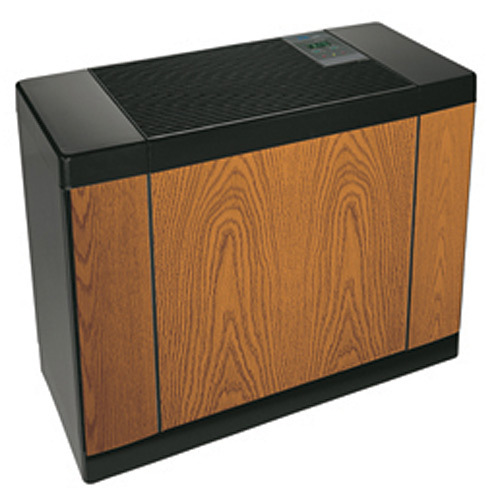 Some of the winter die back can be mitigated to some degree with a humidifier set at least 45 % RH. On the coldest days of the year, I put almost 10 gallons of water a day into the air with various humidifiers. There needs to be a balance struck between happy plants and destroying your house with too much humidity – you will need to find that balance yourself. It took me a long time, and I did ruin some areas of my home (rotted out a window frame and caused some mold issues). My grow-room would quickly turn into an electric drying oven, if I had no controls in the room. 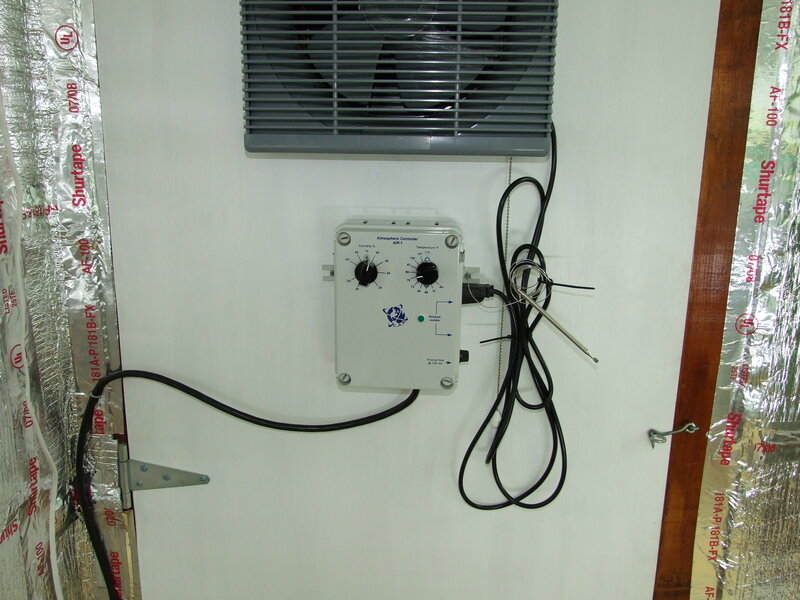 I have a control that turns on an intake, and an exhaust fan (it took me a while to know that what comes in, must go out! ), which I have mounted on the door to the room. If the humidity rises above 65% or the temperature gets above 87°F, fans engage to either cool down, or dehumidify the room. 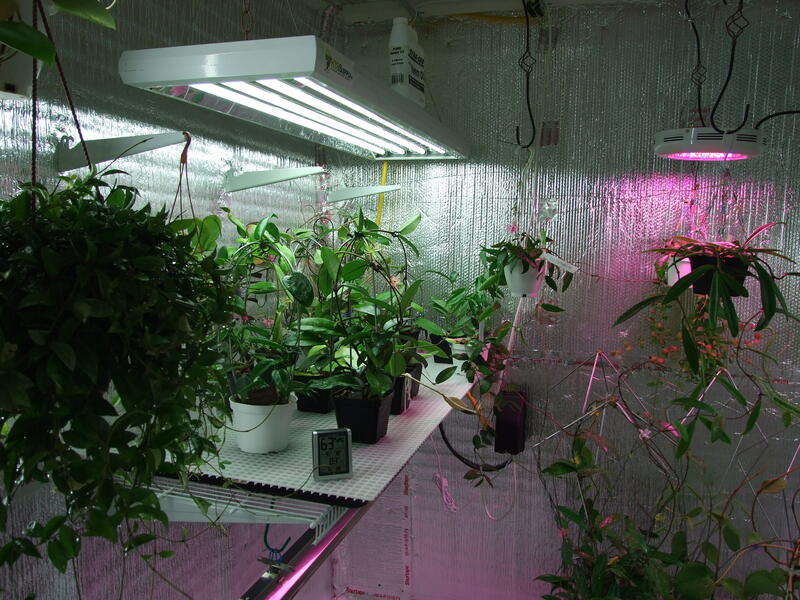 All of the lights in the room quickly raise the temperature, and I also run a multi-room humidifier set at 65% within the room to help stop the drying heat from the lights from desiccating the plants. I also keep all of the trays full of water within the room as a safeguard against the humidifier failing. It is a tricky balance, but one that must be kept. The best information I have obtained on the subject of indoor grow-rooms, I found at online Marijuana growing sites. This source is where all of the cutting edge information will be gleaned. Simple controls like timers also must be employed to turn lights on and off to maintain proper photo-periods. There are much more sophistocated controls such as CO2 injection, and the like that can be used to great advantage, but at some point, one must weigh the costs versus benefits gained.